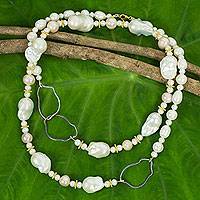 Presented as part of Bali's Mutiara Collection, this necklace displays a single round cultured pearl that glows white. The pendant is crafted from sterling silver with a high-polish finish. 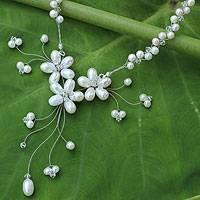 Luxurious but discreet, this necklace befits a beautiful princess. 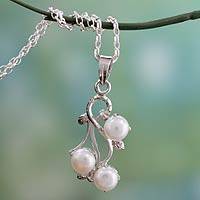 Anusara combines luminous white pearls with cool blue beads for contrast. They cluster in lavish array on an adjustable choker.